Rosh Hashana and Yom Kippur: Hillel offers full Orthodox, Reform and Conservative services for both holidays, as well as meals and break-fasts. Sukkot/ Simchat Torah: Visit our mobile sukkah all over campus, and join us for one of the biggest college Simchat Torah celebrations in the country. 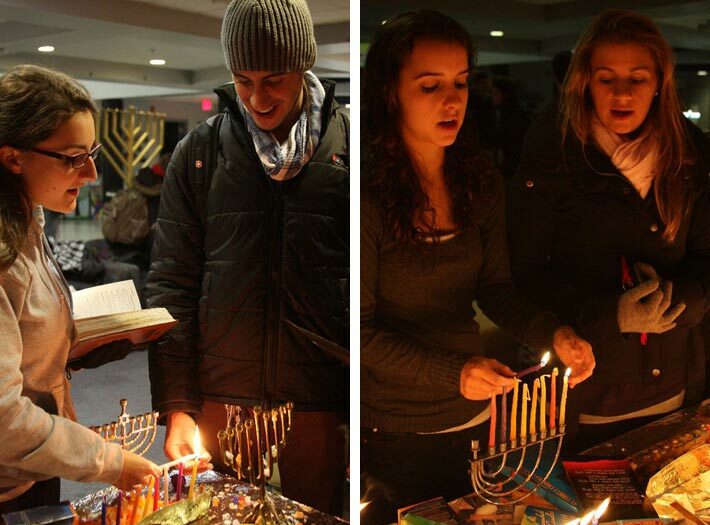 Hannukah: Eight crazy nights including breaking the world record for the most dreidels spun at once, candle lighting across campus, latkes, and presents! Purim: Huge community Megilah reading, costume parties, Purim shpiels, Hamentashen, and more! Passover: With a full kosher-for-Passover meal plan, family-style seders and various Passover activities, Maryland students do more than just eat matzah. Check back regularly for updated information on Holiday schedules and registration information.